Dr. Joseph V. Columbus DDS Has Performed Thousands of Dental Procedures During His Career, Continually Updates His Dentistry Skills and Learns About New Products and Materials, and Is Happy to Share His Wisdom About Teeth With You. It does seem a little stupid, doesn’t it, calling teeth that almost always need to be removed “wisdom” teeth. Well, there is a reason they got that name, and there are several reasons why they usually need to come out. Wisdom teeth normally begin to grow at around the age of puberty, and erupt from the gums between late teens and mid-twenties, a point in life at which most people realize they really aren’t smarter than their parents. Thus the name. They are a third set of molars and, like your tonsils and appendix, they are vestigial, meaning that they were once useful to humans, but no longer are. Way back in time, when diets were much rougher and there were no knives and forks and spoons, human jaws were bigger, to accommodate the extra teeth needed to grind food down into more-digestible bits. That’s not the case today, and over the millennia, jaws got smaller. Unfortunately, most wisdom teeth have lived on, but there usually isn’t enough room for them in your mouth. Out they must come! Because there is usually not enough room in the average jaw, wisdom teeth rarely come in normally. They erupt at odd angles, and also will push other teeth out of the way in a search for space. The roots of a wisdom tooth can grow around nerves in your lower jaw, causing discomfort, and making extraction more difficult; and the roots of your upper wisdom teeth can grow into your sinus cavities, causing sinus infections. Partially erupted wisdom teeth allow food to get in under the gums, where it can decay, leading to infections that are very difficult to clean and that can lead to deterioration of your jawbone. Left untreated for too long, infections resulting from impacted wisdom teeth can be life-threatening. Fortunately, seeing us for regular check-ups and x-rays means we’ll know if your wisdom teeth are going to be a problem – not all of them are – and be able to tell you the best time to have them removed, to prevent future dental complications. Removing wisdom teeth sooner rather than later is usually an uncomplicated procedure, not all that different from pulling any other tooth, done in our office under local anesthesia. If you have a more difficult removal or impacted wisdom teeth, we may refer you to an oral surgeon, who will remove your wisdom teeth under sedation or general anesthesia. If the thought of that puts you off, then it makes sense to take our advice regarding the best time to have your wisdom teeth removed. 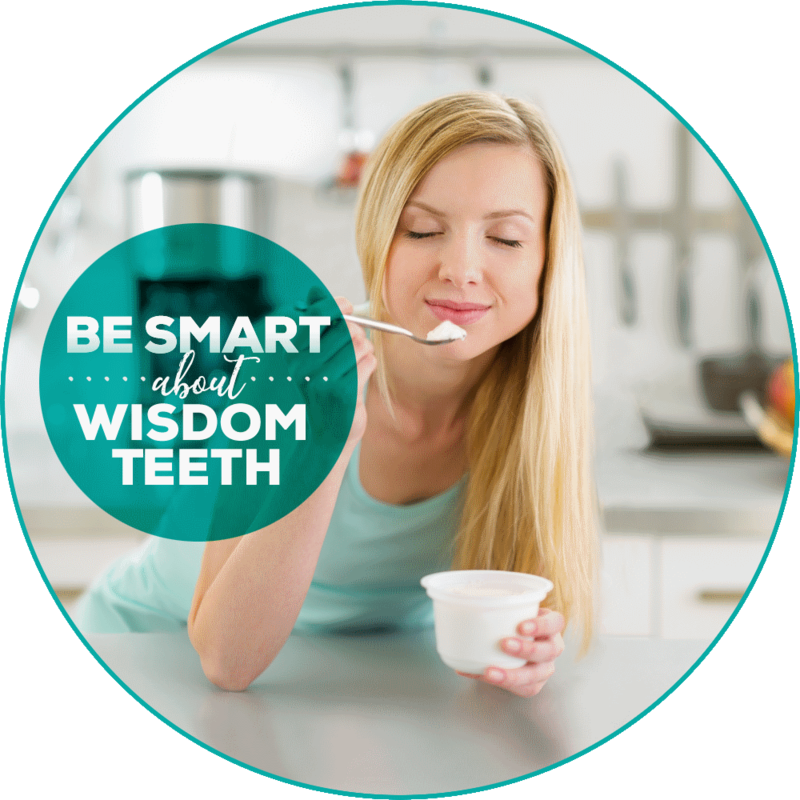 Either way, there is some good news… Recovery from wisdom tooth removal is usually no more than a few days to a week, and includes eating such things as oatmeal, ice cream, yogurt, and smoothies. During recovery, care should be taken not to eat hard foods, strenuous physical activity should be curtailed, you should not use straws, and you should not smoke. You should be careful when brushing, too, so as not to dislodge any stitches that were needed nor to aggravate your healing gums. Remember, regular check-ups will reveal whether or not, and when, wisdom teeth may become a problem, and it’s best to have them preventatively removed as early as possible. If you are worried about wisdom teeth, I encourage you make an appointment, so we can take a look and discuss your options. It’s the smart thing to do! Get Your Kids Into Brushing! By the age children can tie their own shoes – usually at around 5 or 6 – there is another thing they should learn: brushing their teeth. When a child is taught a new skill at an early age, he or she is likely to continue this behavior throughout adulthood. Picking the toothbrush that fits a kid’s needs is important. Toothpaste flavor is important, too. Let your child pick out the toothbrush and toothpaste, as long as both are up to ADA (American Dental Association) standards. Whether it’s a love for cars or cartoons, superheroes or princesses, bubblegum, fruit flavors or mint, your child will be more excited to brush if he or she got to choose and likes the choice. Your children learn from you, so set a good example. Brush your teeth in front of them, with good technique, and be sure to brush for the full dentist-recommended two minutes. If your children see that you’re brushing your teeth and enjoying it, they will want to brush. Do it together after breakfast, and again at bedtime. A toothbrush should be soft-bristled, and angles at 45 degrees towards the gums of the upper and lower teeth. Your child should gently move the toothbrush in a back-and-forth motion, with short strokes along teeth and gums. This technique should be continued along every tooth's interior and exterior surface in a similar way. Also have your child brush his or her tongue, with an in-and-out motion, to remove bacteria on its surface. Remember, your child's toothbrush should be replaced every three to four months, or sooner if it gets worn out or frayed. A Few Minutes of Fun! 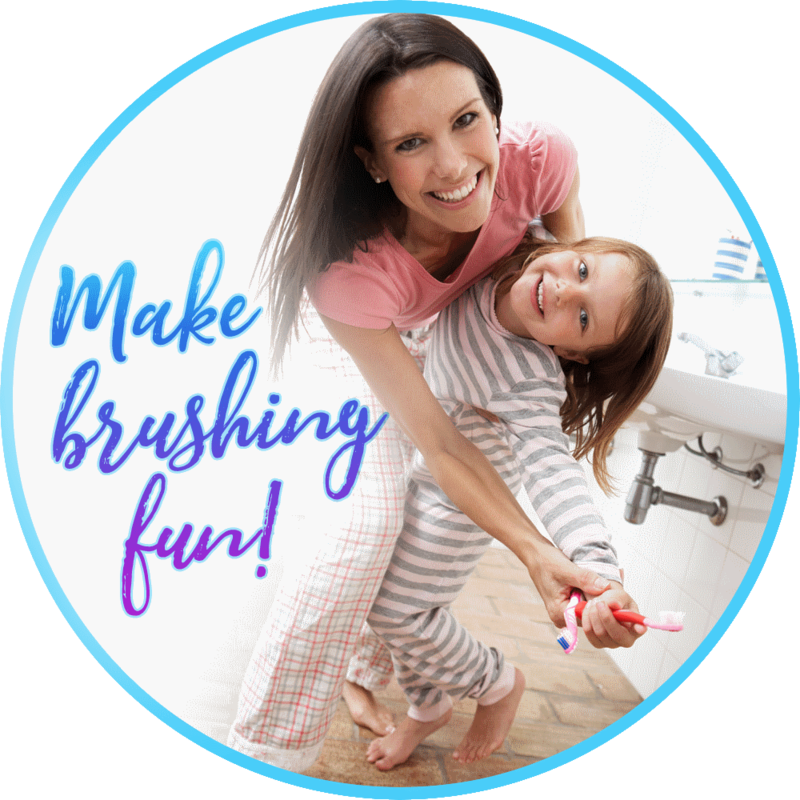 There are lots of ways you can add some fun to the brushing experience. Kids can use their "super powers" or "magic wand" to brush their teeth and rid the world of "evil germs." Set a timer and use an upbeat kid-friendly song to let them boogie a little while brushing. Many children’s books and shows have segments about brushing teeth. Read a story in funny voices or let them listen to a show while brushing. Do your own play-by-play as your child brushes, and maybe let out a loud whoop when they finish. Kids should start flossing when tooth surfaces are next to each other, and should floss at least once a day. It can be hard for children to wrap floss around their fingers and reach back in smaller mouths, so a flossing pick is a good alternative and will help get your child into the flossing habit early. And because you are trying to set a good example, perhaps this activity gets you back into a daily flossing habit, too! Stickers? "Well done!" A high-five? A choice of bedtime story or some other short activity? What will motivate your child to develop a healthy habit? Maybe you mix it up a little, so the reward eventually becomes a healthy smile in the mirror. Establish a routine and pattern for brushing, so it becomes habitual and expected. You may be tempted to let your child skip brushing after a long day or during times when your normal schedule is off (like vacation), but keep at it. The more it becomes a habit the easier it will be to make sure your child’s brushing continues at least twice a day for life! Though practicing good oral hygiene at home is vital to a healthy mouth, be sure to bring your child in for regular cleanings and checkups, too. Call us today if you need to make an appointment. Twice a year (we hope at least twice a year, maybe more, depending upon your dental needs), you come to see us at Columbus Dental Care, to have a check-up and get your teeth cleaned by one of our friendly hygienists. You have probably had them do a little bit more, too, so you know there is more to what dental hygienists do. Do you know how much more? The job of a dental hygienist is not just about your teeth – it is about your oral health, and how it relates to your overall health. You probably don’t give it much thought, but that your hygienist is a highly-skilled dental professional, and your first line of defense against any dental problems you may have, and that may be linked to other health problems such as diabetes, heart problems, and cancer. Your hygienist knows what is best for your mouth, and has spent many, many hours in classrooms and chairside, learning how to best take care of your teeth, gums and overall dental health. The learning doesn’t end with passing the licensing exam, either. In New Hampshire, hygienists must complete a minimum of 20 hours of continuing education every two years, to make sure they are up on the latest findings and techniques. By the way, your hygienist knows when you are not telling the truth about flossing, because gums speak for themselves. Honesty is the best policy, so be open about your home care routine. Your hygienist knows how to get your teeth and gums in tip-top shape, and can help you get into a consistent routine. The bonus? You get a better smile that should last a lifetime. And he or she also loves to play sports. Hockey, basketball, football, volleyball, lacrosse, soccer… no matter what the sport – even track and field or tennis – if you want to make sure that your child’s smile stays intact during sports activities, a sports mouthguard is a must-have. There are two types of sports mouthguards: basic boil-and-bite, and custom mouthguards, which are molded from an impression of your teeth. 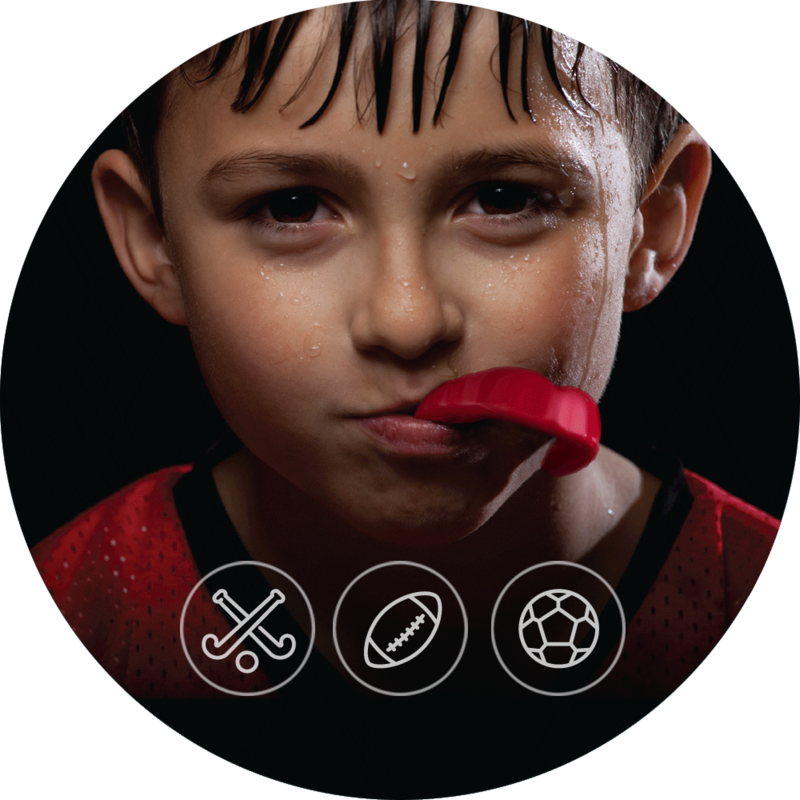 If there’s a chance your child is going to take a stick to his or her face, knock heads, or get an elbow in the mouth, you’ll want the superior protection of a custom mouthguard. Everyone’s mouth is different, and the best protection comes from a perfect fit. A custom mouthguard, taken from an impression of your child’s teeth and gums then formed at 100+ psi from strong, lightweight materials does the job properly. A custom mouthguard, like the ones I fit at Columbus Dental Care, affords optimal comfort, protection, oxygen intake and ease of communication for your child. We can also customize the color of custom mouthguards, and even add your child’s jersey number to them, which is big plus in today’s Instagram-driven world. Do they cost a little more? Yes. But they cost a lot less than a visit to me after a mouth injury suffered without a mouthguard will. Your child’s smile is probably worth the investment. Back in the day, the time it took to repair a decayed or damaged tooth was not that big of a deal. In the world of today, though, moving at the speed of the internet, instant news cycles and two-earner households with always-on jobs, that kind of time is no longer a viable option. Thanks to the advanced technology of our chair-side E4D laser-enhanced CAD/CAM system, I can give you a permanent, perfectly fit, all-ceramic crown, with no messy goop, less drilling, and fewer injections, in one appointment that usually takes little more than an hour. At Columbus Dental Care, we create your crown on-site, perfectly laser-matched for size and shape to your old tooth from a solid piece of porcelain material that closely matches the composition of natural teeth, so it will be a good neighbor. We also match the color so that the new crown fits in aesthetically. It is then chemically bonded, saving as much of your healthy old tooth as possible. The result is a strong tooth that can last for many years – and a better smile – all in one visit. If you have a tooth that needs attention, and no time to take care of it, make an appointment at Columbus Dental Care, and let us take care of it in almost no time at all! You probably know that the biggest trend in news today is “fake news.” And though the term is now being applied mostly to politics, the web is awash in fake news of all kinds, including lots of misinformation about one of the best treatments you’ll find for keeping your teeth strong and healthy: fluoride. First introduced into a public water supply in 1945, fluoride is, according to the U.S. Center for Disease Control "one of 10 great public health achievements of the 20th century." During the years that teeth are forming, fluoride that is swallowed helps to strengthen the enamel as the teeth are developing, making them more resistant to cavities. At all ages, trace levels of fluoride (from water or other beverages, and from fluoride toothpaste) mixes with saliva. Saliva neutralizes the acid made by the bacteria that cause the decay process, and the fluoride is absorbed by tooth enamel, which makes it stronger. Many municipal water systems add fluoride, specifically because of its proven teeth-saving properties. But if you are on well water, you’re probably not getting more than a trace of fluoride, likely too little to provide a dental benefit. And Pennichuck, the water system delivering to most of towns in our Columbus Dental Care service area, does not add fluoride. Because of this, it is vitally important for the health of your teeth, and those of everyone in your family, that you brush your teeth at least twice a day using a toothpaste with fluoride. I also strongly recommend a fluoride treatment during twice-a-year check-ups, especially for children and young adults, while teeth are still forming. For the facts instead of the fake news, you can also click for more about fluoride. Once you have the facts, I’m sure you will feel the same way I do: that fluoride is effective. 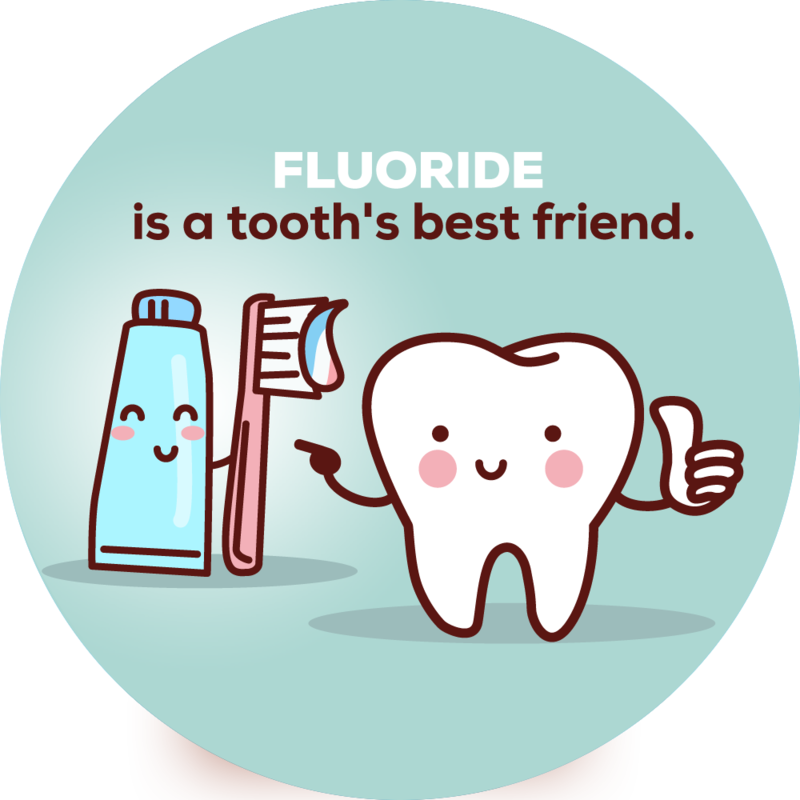 it’s safe, that thanks to fluoride there is much less tooth decay today than there used to be, and fluoride is a tooth’s best friend. Come on into Columbus Dental Care, and have us make sure your teeth are well-protected with fluoride. Many people don’t take advantage of all the dental benefits they do have. Most dental plans are what are called 100-80-50 plans. They pay 100 percent for a couple or routine cleanings and check-ups per year; 80 percent for basic things such as fillings or root canals; and 50% for more extensive work, such as implants, crowns, and dentures; all up to a specified annual maximum. You pay the rest out of pocket. That means that you may miss out on the second cleaning, or the check-up that might have prevented a bigger problem if we caught it in time. Or, at the very least, getting some of the cost of a procedure paid out of your plan’s pocket instead of your own. Small dental problems can quickly become big expensive ones, so if you have a check-up ‘owed’ to you on your current plan year, you should get it done. And if you need a procedure that is not fully covered by your plan, we suggest CareCredit which offers 0% financing for 6 or 12 months, as well as other financing options. You can find out more at Care Credit. If you have questions about your plan, the services still covered in your current plan year, or about any potential in- or out-of-pocket costs for dental procedures you really should have done before the new year, please call our office. Your dental health is our number one priority, and better smiles begin here. Have you been told you grind your teeth? Many people don’t realize they do until their partner or a dental professional tells them. Grinding, scientifically known as bruxism, happens mainly at night, while you are sleeping, and so unaware that it’s happening. And though it’s a way your body relieves the stress of the day, it can be extremely damaging to your teeth, put a lot of stress on your jaw joints, and cause pain or headaches when you wake up. Dentists can help relieve these symptoms with night guards. Night guards serve many purposes. One of the obvious reasons is to avoid further wear on the teeth. Sometimes the wear is so severe that, if untreated, one or more teeth can wear into the nerves, causing pain and then maybe abscess, and, eventually, the need for root canal therapy. Even if it doesn’t wear that far, the pressure of grinding can cause fractures in the teeth, especially if you have old fillings. That can lead to the need for more expensive future treatment. Another reason to wear a night guard is to protect the dental work you have already had done. Crowns and cosmetic veneers are made from very strong porcelain, but even the strongest materials can be damaged from excessive grinding. A night guard can help protect the investment you have already made, and help you avoid costly repairs and remakes. Finally, for those who wake up with headaches and jaw pain, night guards can reduce or eliminate those symptoms, by allowing your jaw to move more freely while you sleep. This reduces the tension on the muscles that you use to move your jaw, and often results in less pain and fewer morning headaches. There are many types of night guards and I can help you decide what type will best suit your needs. One other thing… If you have an active lifestyle, especially if you are younger and engage in any type of contact sport, a custom mouth guard is the easiest way to protect your teeth from the need for expensive dental work, or to protect the work you have already had. A custom, impression-fit mouth guard does a much better job than the so-called ‘boil and bite” versions, too, because it’s made with much sturdier materials and not made by a novice in the dental field (yes, that would be you). Night and day, if you want to keep your better smile looking its best, come see us about night guards and mouth guards. Guess what is the most common question we get here at Columbus Dental Care? (I suspect every other dentist gets it, too.) It’s this one: Why doesn’t my dental plan pay for this dental treatment? There are many, many dental plans available, and having one can make it easier to get the care you need. But almost all dental plans are a contract between your employer and a dental insurance company, and very few of them cover all the procedures you might need. Your employer determines how much it wants to spend on the premium to provide this benefit to you and your fellow employees. Your employer negotiates with an insurance company based on the premium your employer is willing to pay, and that determines the type and amount of coverage that your dental plan will provide. Insurance companies randomly set their UCR fees, which frequently do not match the actual fees charged by dentists in a given area. The UCR fees may stay the same for many years, because insurance companies may be slow to adjust for inflation or the changing cost of providing dental care, or advances (and even differences) in treatment. Every insurance company has its own formula that they use to set their UCR rates, and they are not required to disclose the method by which their UCR fees are determined. Just because your dental bill is higher than the UCR of the insurance carrier does not mean a particular dentist is charging too much. It could mean that the insurance company has not updated its UCR fee scheduled, or that the data used to establish the UCR fee scheduled has been taken from a different location than the one you are in. This is the maximum dollar amount a plan will pay in one calendar year. Again, the annual maximum dental benefit is determined by your employer in its contract with your insurance company. These allowances are lost at the end of the of the contract year and do not roll over to the next calendar year. If you don’t use them, you lose them. In many cases, these maximums have not been raised for decades. You have certainly heard about this one. In the case of dental plans, as an example, your insurance may choose not cover to replace a missing tooth if that tooth was missing prior to your enrollment. This does not mean that the tooth does not need to be replaced. This is just another way insurance companies use to get out of paying for needed treatment. This clause in many dental plans gives the insurance company the option of refusing to cover procedures they deem not medically or dentally necessary. But an insurance company does not know you as an individual, and their view of “dentally necessary” may not coincide with the opinion of your dentist. You and your dentist should make your treatment decisions, not your dental insurance plan. During the last decade or so, dental insurers have increasingly promoted the concept of the “in-network” provider. A doctor who is in “in-network” has agreed to offer a significant discount to patients with that particular insurance. Some plans only pay “in-network” dentists. Other plans will allow the patient to see the dentist of their choosing, but reimburse the dentist at the discounted rate, and the balance not paid is your responsibility. At Columbus Dental Care, our primary goal is to help you establish and maintain excellent dental health. We also work diligently to help you obtain the most from your dental insurance by filing your claims on your behalf. We often see patients with large-scale dental problems, and for these patients, dental insurance helps only marginally - they reach their yearly maximums very quickly. But putting off needed treatment can lead to bigger (and more expensive) dental problems. It’s important to address all aspects of dental disease in a timely fashion, regardless of what insurance will or will not pay. It’s also important to keep in mind that there are good dental insurance plans, and not-so-good ones. If you are not satisfied with your dental insurance coverage, let your employer know. We just came off one of the big candy holidays of the year – Valentine’s Day – and Easter is not far off. Easter is also a big candy holiday, which got me thinking about candy’s contribution to cavities. Poor Oral Hygiene: The biggest reason for tooth decay is poor oral hygiene. Dental plaque, loaded with acid-producing bacteria, forms very quickly and can start eroding tooth enamel on contact. If plaque is not removed daily, a cavity can get started and advance through the layers of the tooth, from the hard outer enamel surface, through the softer dentin, and finally to the nerve (pulp) center of the tooth. Brushing a minimum of two times a day and flossing regularly is the best defense for avoiding tooth decay. Sugary Foods: Sodas, candy, cereals and most juices are loaded with sugar, which is also food for the acid-producing bacteria that hasten tooth decay. Acidic Foods: Acidic foods and juices, and carbonated beverages, can damage the tooth enamel directly and immediately with their own acids. Juices and carbonated sodas are the biggest culprits. Improper Nutrition: Foods high in sugar, foods high in simple carbohydrates and high in acids contribute to tooth decay. Eating a healthy diet, including fruits and vegetables, can help decrease cavity formation. Crevices and Enamel Issues: Deep grooves in some teeth, especially the molars, can allow bacteria to hide and proliferate. Dental sealants placed in these grooves is a fantastic tool for reducing dental caries on the biting surfaces of teeth. Dry Mouth: Saliva functions to help wash teeth, and clean and dilute the acidity in your mouth. People with dry mouth issues, usually due to genetics, medications, or old age, are more at risk for cavities. Chewing gum with xylitol can stimulate the mouth and help it be less dry, which helps fight cavities. Grinding: Grinding of the teeth (bruxism) can cause fracturing of the tooth enamel, which increases the incidence of dental caries. A mouth guard worn at night (when most grinding occurs) can greatly relieve this problem. Genetics: We inherit the shapes of our teeth, as well as the grooves previously mentioned. Crowded teeth, which can make brushing or flossing more challenging, is also an inherited trait which can contribute to more cavities. Age: We all get old (hopefully), and with increased age there can be an increase in cavities as well. Recession exposes roots to the acidic oral environment and can quickly lead to root decay. Also, manual dexterity can compromise brushing, saliva production can decrease and medications can cause dry mouth. Avoiding the Dentist: Routine dental visits are very important to prevent dental decay. Routine cleanings, oral hygiene instructions, early cavity detection, sealants, and fluoride application are just some of the many ways going to the dentist can prevent tooth decay from becoming a problem for you. I encounter many of the problems listed above when I travel to Uganda to provide dental services to people in poor rural villages. Access to dental care, to toothbrushes and pastes, and even to clean water, can be very difficult there. Many Ugandans drink soda instead of water, because it’s safer. But not for their teeth. Here in the US, we have clean water, an abundance of healthy foods, and dozens of brands of toothbrushes and toothpastes from which to choose. You also have me, Dr. Joe, and the entire staff at Columbus Dental Care always at the ready to make sure your smile is the best it can be. A missing tooth might seem like just an inconvenience if it happens to be out of sight of your smile. Unfortunately, the truth is it can be devastating to your overall oral health in the future. Your teeth are in a delicate balance in their positions, and can move over time. A missing tooth changes the balance, and that starts the uncontrolled movement of your teeth. Some are lucky enough that the balance returns without much damage, but others are not. Shifting teeth can lead to too much force on the surrounding teeth, resulting in fractures of fillings or a tooth itself, leading to more extensive and expensive treatment. Opposing teeth can also shift into the space left by a missing tooth, creating areas that are difficult to clean. This can lead to gum disease and possible further tooth loss, not to mention problems with your jaw joint and the muscles that control chewing. With all those possible outcomes, replacing a missing tooth can be the least-expensive way to save you a lot of problems and money down the road, and dental implants are the best way to that. 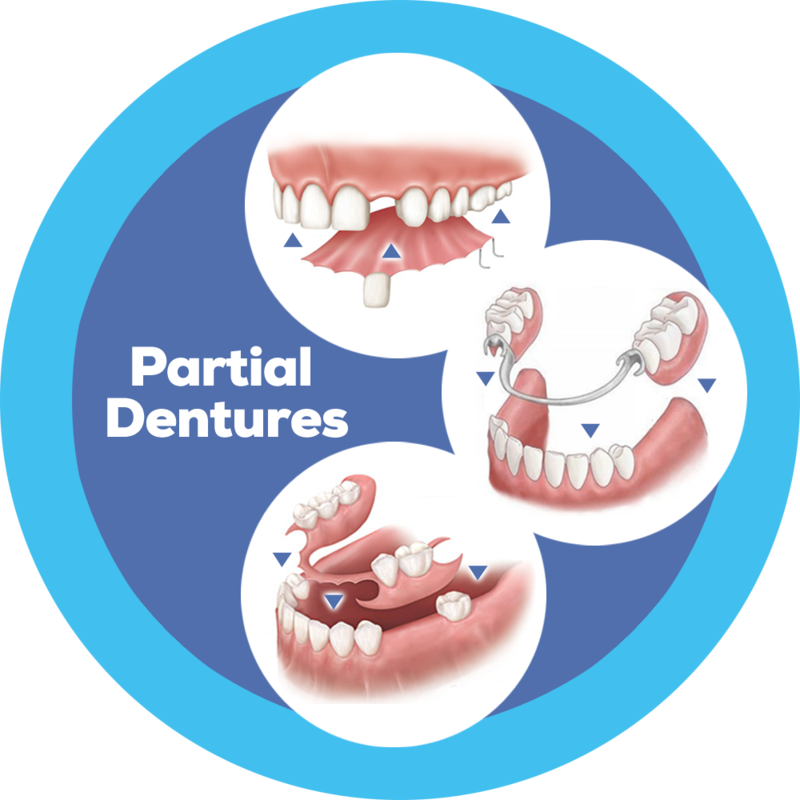 Fixed-in-place bridges and removable partial dentures still have their place in the possible treatment options for missing teeth, but dental implants, where possible, can give you a natural and more easily-maintained result. 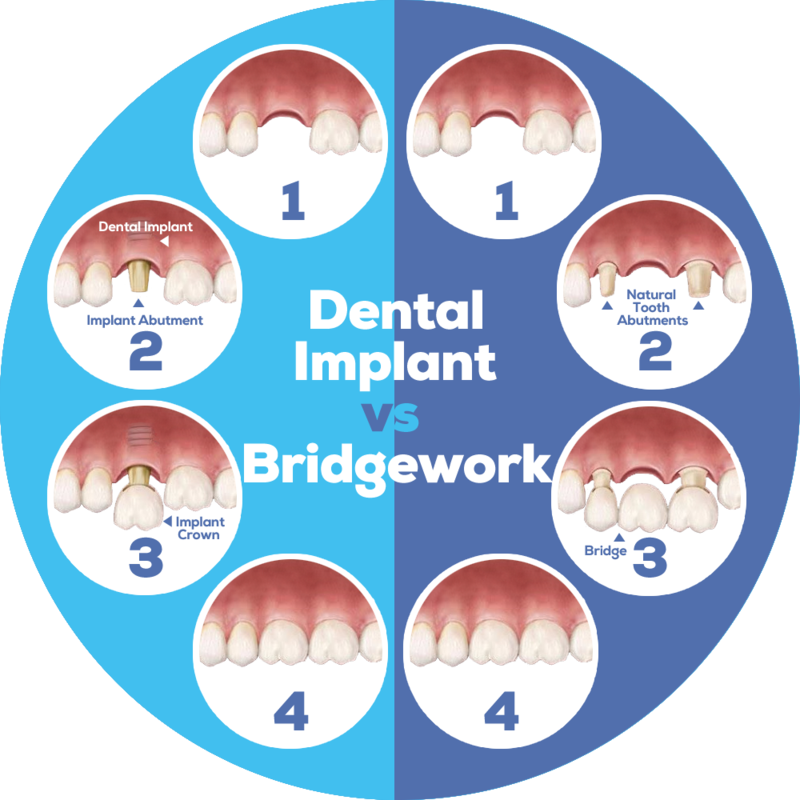 With dental implants, a missing tooth or teeth can be replaced without having to work on the surrounding teeth, saving you the expense of maintaining those restorations for the rest of your life. Dental implants won't decay, and once integrated into the bone (about 4 months after placement) they can last you a very long time and allow you to clean your teeth better. You can brush and floss an implant just like it was your natural tooth. I strongly suggest dental implants as the best option to replace a missing tooth, in almost all cases. They can save you money down the road, with less maintenance and replacement over your lifetime. If you have a missing tooth, or need to have a tooth removed, come see me to discuss a dental implant replacement. I have been in dental practice for more than a quarter of a century, and so have seen an amazing number of changes in dentistry – in materials, technology, tools and procedures. A couple of things haven't changed during the years I have been seeing patients, though: a lot of people are still afraid to see the dentist, and the average dental insurance benefit is still stuck at about a 1970s level of $1,000-$2,000 per year. In the 1970s, that was often more than enough to cover the costs of even many "involved" cases, with cavities, perhaps an extraction, and multiple crowns. But today's technology hasn't come cheap, the cost of dental education has skyrocketed, office space can be very expensive, and so is maintaining your privacy against internet hackers. Back to the first thing I mentioned that hasn't changed: fear of seeing the dentist. That used to be about pain. Now, it seems, it's more about seeing the dentist's bill, especially for those who have no dental insurance at all. Fortunately, Dr. Joe and I both feel that no one should have to avoid the us due to fear of paying for our services. I have hundreds of patients without insurance, and go out of our way to offer the best dental care money can buy, as affordably as possible, with many options for payment. There's also a silver lining (better yet, a tooth-colored lining) to our approach - good dental health doesn't have to be very expensive for most people. Starting in childhood, a couple of good check-ups with thorough, gentle cleanings, and an annual set of x-rays, is all many people ever need. Seeing us twice a year, every year, allows us to monitor your dental health consistently, and to make smaller, inexpensive corrections that help you to avoid serious, expensive problems later on. I'll bet you maintain your vehicle. You gas it up once a week; get one or two oil changes a year, depending on how many miles you drive; have an annual inspection; and every now and then replace the wiper blades, or the tires, or the brakes. Maybe you have a fender bender and have to get things straightened out. And if you're lucky, you may keep that car five or ten years. Well, if you brush and floss regularly (toothpaste costs a lot less than gasoline); see us for check-ups and cleanings twice a year; have an annual x-ray; and occasionally maybe get a filling, or a little bonding, or even need to get your teeth straightened out, they are likely to last you a lifetime. That's a pretty smart investment. And I promise to make it as painless as possible. Do you have a dental problem or concern you would like to have Dr. Joe write about in this dental blog? Send an Email to let us know, and we’ll do our best.